Start waxing your skis and boards, winter’s coming! Well, for Alberta, Canada anyway. 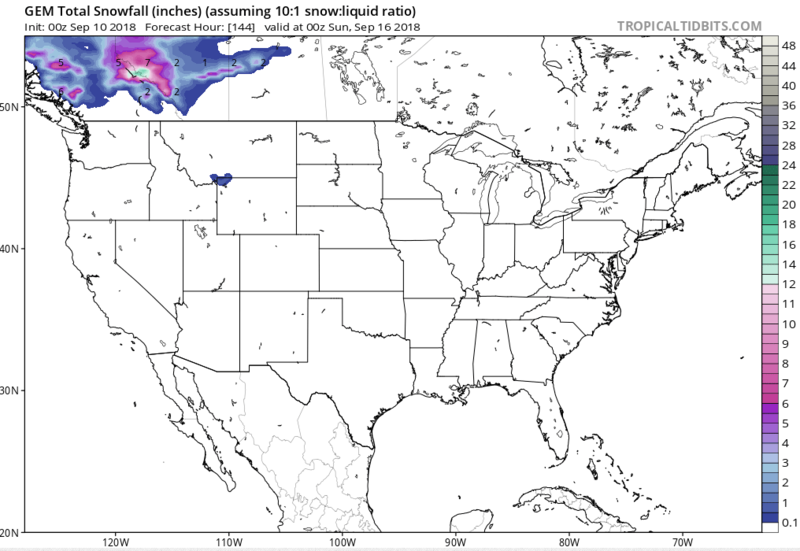 A cold front should bring accumulations of high mountain snow for Alberta, Canada between Wednesday and Saturday. 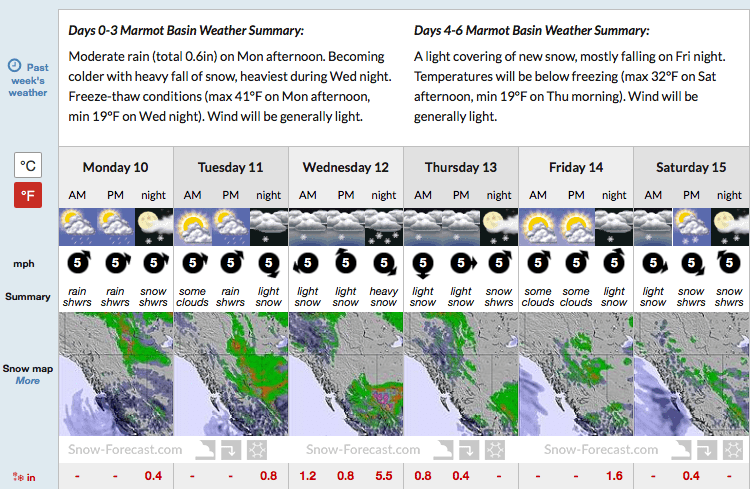 Resorts such as Marmot Basin, Banff, and Sunshine Village may even see light snow at the bases. 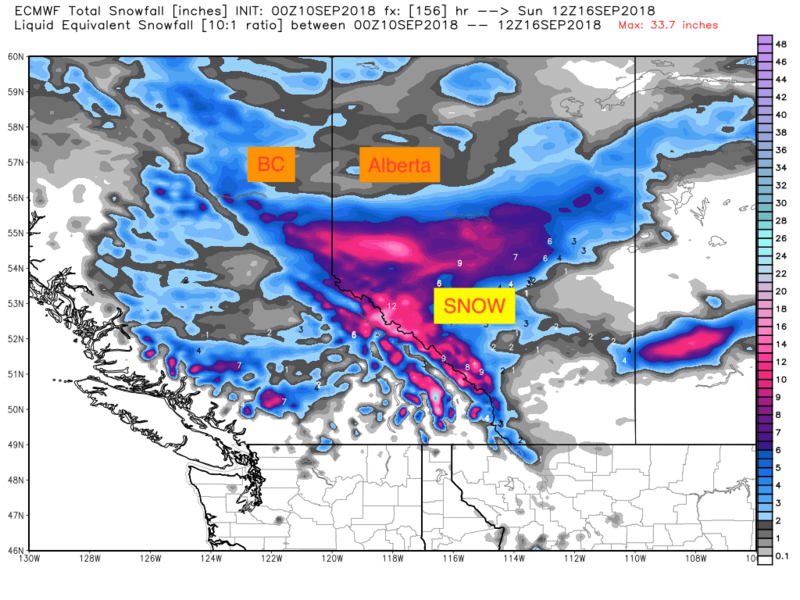 Some snow may reach eastern sections of BC. The forecast snow will arrive a full week earlier than the first snow of last year.